As the Eurozone, the US, Japan and other ailing economies struggle to attain growth amid mediocre economic growth, clamping down on illegal tax evasion has become an increasingly important agenda. It is not only a means to recoup receipts that have bled to other lower or no tax jurisdictions; but also to deal with large budget deficits and prevent vast amounts of money from being siphoned offshore. The Organization for Economic Cooperation and Development (OECD), a 34-strong group of nations that work together on economic policy and development issues, has called for governments worldwide to chip in towards this goal by automatically sharing tax data. It recommended the creation of a global system that will funnel financial information about where the earnings and investments of companies or individuals may located and where they may actually owe taxes. 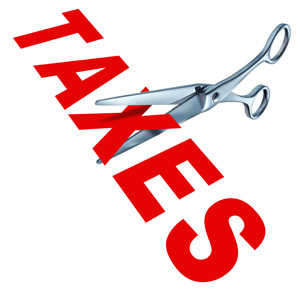 The move aims to close some controversial tax loopholes for corporations, which through careful tax strategy, have managed to significantly minimize their tax payments. They do so by having a presence in certain jurisdictions, which in turn shape how they account for their earnings. In future, when more governments come together and establish a global network to mitigate willful tax evasion, we expect more shell companies to come under scrutiny, and more companies that set up in Singapore to be bonafide firms with genuine operations, making meaningful contributions to its society and economy. OECD said that the foundation of such a system is already emerging because of Foreign Account Tax Compliance Act (FATCA) reporting requirements newly-imposed by the United States. As discussed in our article in May, titled Singapore Committed to International Tax Cooperation, non-compliance with this Act would mean no access to US financial markets. FATCA will come into effect January 2014. Singapore on its part has also said it will conclude an intergovernmental agreement with the United States to ensure that its financial institutions will automatically provide information to the Internal Revenue Service about accounts held by Americans. Analysis by Rikvin shows that the new move is a harbinger of the decline of offshore tax-free havens. “Banks, investment houses and other financial institutions will also be under obligation to sound off suspicious transactions and discontinue accounts that are high-risk. At the same time, companies will find that they will not able to claim profits on what would limit their tax bill,” said Ms. Christine Lim, General Manager of Rikvin.